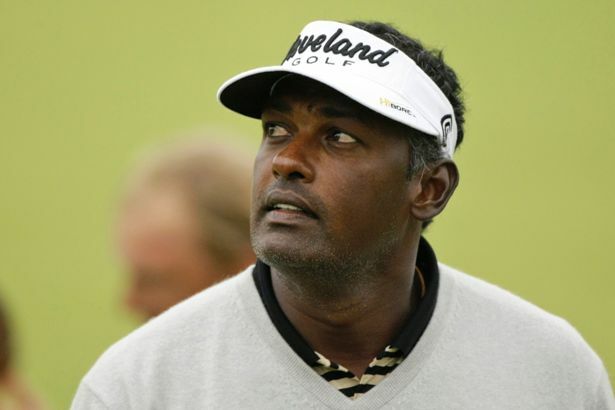 The lawsuit pitting Vijay Singh against the PGA Tour over Singh’s suspension for the use of deer antler spray is coming to a head. The Tour has every right to be worried as the process may shed unwanted light on their mystical discipline department. Will this lawsuit finally compel the Tour to be more transparent about fines and suspensions and if so would that be a good result? Jim Deeks, Fairways Magazine (@jimdeeks): I may be a contrarian on this, but I really don’t care if the Tour does become more transparent about fines. All that does is make people question the player, or question the fines, and why do we need to know this stuff? If the players don’t want this transparency, and the Tour doesn’t want it, then why should it happen? As for Vijay, the matter was dropped by the Tour long ago… why doesn’t he just let it go and chalk it up to an honest mistake on both sides? I think he’s being a jerk, but then, it wouldn’t be the first time, would it? Jim Kenesky, PGA (@JimKeneskyGolf): Golf is a very clean sport. I believe drug testing is necessary but at the same time a little over the top. It would really tarnish the image of the sport if many players were found to be doping. Craig Loughry, GAO Director of Handicapping (@craigloughry): Well, I’m pretty certain the players don’t want that to happen, not the ones who are edge-y. Who wants their dirty laundry aired? And the Tour likes their fairly ‘squeaky clean’ image untarnished to keep attracting sponsors. They’re not anywhere near the level of the NFL or baseball in terms of public image, but maybe behind the scenes they are, and they don’t want to let that cat out of the bag, not without a fight I’m sure. Peter Mumford, Fairways Magazine (@FairwaysMag): Commissioner Finchem and his crew will do almost anything to protect the squeaky clean image of the PGA Tour – even if it means capitulating to Vijay Singh with an apology and a large cheque. And then life will continue as before where no players curse, play slowly or take performance enhancing or recreational drugs. Once in a while they might have to fine or suspend someone who inadvertently took a banned cold medicine or needed a medically prescribed testosterone boost. Otherwise, Ponte Vedra is Stepford. It’s all a croc of course but we’re dreaming if we think it will change. Dave Kaplan, Freelance Writer (@davykap): I don’t think this will cause the PGA Tour to be more transparent, but egg is already landing all over the PGA Tour’s collective face, especially with the news breaking that Mark Calcavecchia was once given a warning for the exact same infraction that landed Singh a 90 day suspension. The truth here is that both sides have selfish motives: Singh is still trying to repair his image from the 1985 Indonesia Open and the PGA Tour, like the NFL, is trying to appear as if they are appealing to some higher metaphysical notion of what is good. However, neither party involved needs its name to be dragged through the mud in the media. I am convinced that this lawsuit will settle out of court before it snowballs and gets really ugly. Way back when Greg Norman first proposed a “world tour” for the best players and Tim Finchem subsequently invented it, the idea of globe trotting was considered a positive step to growing the game. Now we see the extension of seasons, weekly inter-continental travel and players citing fatigue as the reason to skip events. Lydia Ko and Sergio Garcia are just the latest but getting a lot of heat for their decisions. Where should a player draw the line? Kaplan: It is a year-long game now so you need to be smart. How can you blame a player who elects to take a week off here and a week off there … even a couple of months off? Nothing of importance is really scheduled until the West Coast swing gets underway in January, anyway. There’s not too much going on in terms of headlines in the golf world right now, so it doesn’t shock me that Garcia and Ko are being targeted at the moment … but they shouldn’t be! Mumford: There really are two levels to the Tour. For journeyman pros trying to make a living and keep their card, they have to play whenever and wherever they can. Of course nobody howls when they miss a tournament. For the elite players who can pick and choose when and were to play, they’re in great demand and very noticeable when they take a week off. The modern Tour was structured for the journeyman players and conflict with the stars has been a constant ever since. Nicklaus, Ballesteros, Norman, Faldo and Woods all ran afoul of minimum event rules. As much as the elite players hate to kill the Golden Goose, some pushback is needed to shorten the season and find the right balance. Loughry: So, just to be clear, players do get to choose when and where they play. To use fatigue as an excuse is ridiculous! They set their schedule for the year well in advance (before the year starts – the whole tour schedule is posted), and they have options, depending on how well or poorly they’re playing throughout the year, to play less or more, so fatigue is just an excuse. Deeks: I think players should draw the line when they reach a satisfactory income level for their season, and/or when they’ve fulfilled all their tour-mandated or personal obligations for the season (e.g., defending their title at whatever they won last year). And most can afford to do that because there’s so much money out there. I betcha the top 250 money winners on the PGA Tour, and top 100 on the LPGA, earn very comfortable livings from all their income sources. No point in jeopardizing that by running yourself down in pursuit of yet another dollar. Kenesky: As a professional myself, the one thing I attempt to do is create a schedule that makes the best business sense for me. I’m not going to travel across the country when I have a series of events close to home. These professionals need to make the right business decision for the short term and the long term that also keeps health in the forefront. Inbee Park won the Lorena Ochoa Invitational on Sunday for her fifth victory of the year. As part of the celebration Park was required to don a sombrero. Is there a more bizarre tradition or trophy in tournament golf? Kenesky: The plaid jacket at the Heritage is pretty wild. Obviously, the key is creating a tradition and honouring it each year as it contributes to the overall image of the tournament – but I never have understood jumping into Poppy’s Pond. Loughry: The tartan plaid jacket at Harbour Town is a bit wonky IMO. It just feels and looks a little bit too much like a bad version of Augusta’s Green Jacket. Kaplan: Well the Luau at the end of the Lotte Championship is pretty out there, as is the rooster trophy at the Sanderson Farms Championship. I think the most bizarre and enjoyable tradition we have in golf, however, is the caddy race on 16 at TPC Scottsdale. That is on my bucket list! Mumford: Every event wants a unique symbol or ceremony but some are pretty bizarre. The Conquistador helmet for the Tucson Open, Hilton Head’s plaid jackets and the sombrero are weird enough. When players venture outside the U.S., the local culture really kicks in. Apparently there’s one tournament where the winner has to stand between two mounties like he’s being arrested. The champion of the Dubai Desert Classic gets a trophy almost as tall as the player; Morocco gives their winner a dagger; while the Qatar Masters presents a giant gold clam shell with an oversized golf ball inside. The LPGA HanaBank Championship earns the victor an old wooden oar stuffed into a metal vase – at least that’s what it looks like. However, the weirdest of all has to be the former LPGA Longs Drugs Challenge which gave the winner a very odd foot long crystal piece – and the photo of Cristie Kerr kissing it in 2002 was likely banned in 17 states.